Playing around with our new “toy” (truly far from toy quality) we realized we should have ordered 2 handles with it. The boat is nowhere near launch ready so definitely no big deal and certainly no rush. We agreed with David Webster (Deep Blue Engineering) that we would wait for a convenient shipping opportunity, having in mind that we would be in Europe sooner or later. Some plan did come together. 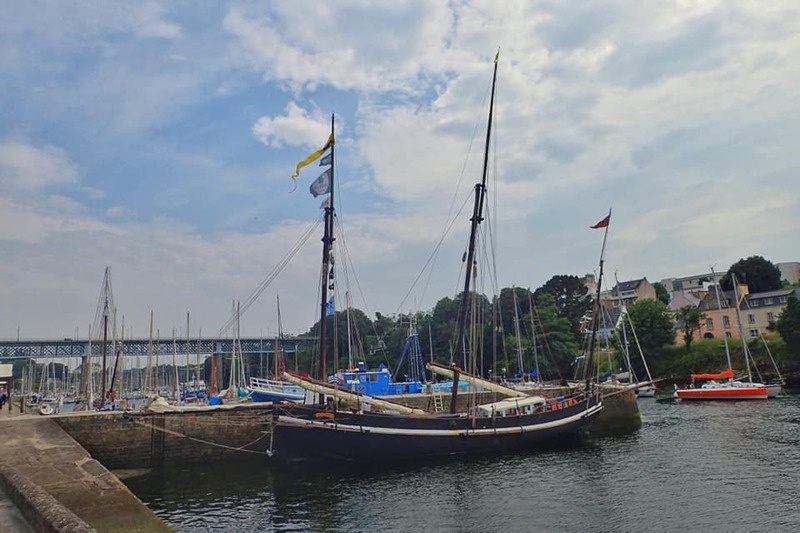 Soon after Mark and I booked tickets to go spend 2 weeks in Concarneau (Brittany) with my grand-mother. Around the same period of time we wer going to be in France, the Grayhound was leaving Great Britain in direction to Brittany. 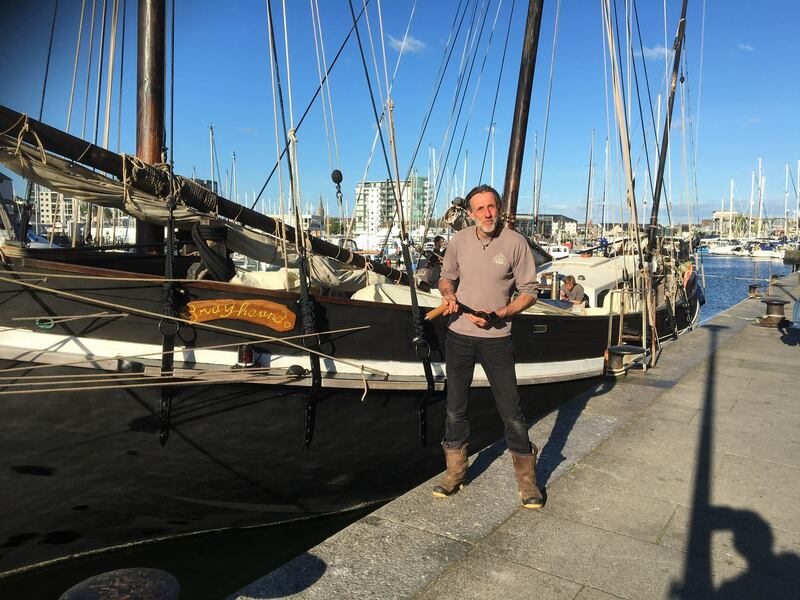 The Grayhound is a traditional sailing vessel offering sailing adventures while delivering cargo https://www.grayhoundluggersailing.co.uk/ . 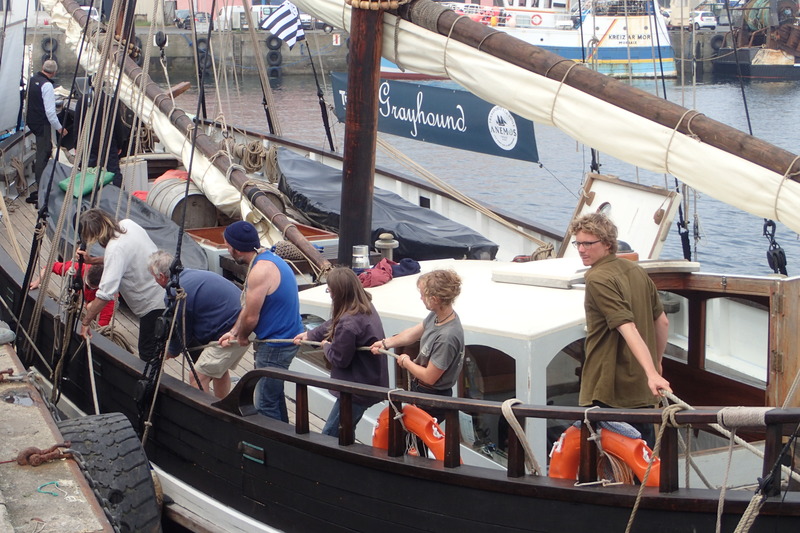 Why not add a bit of fun to this whole Windlass handle deal and have it brought to Brittany on board the Grayhound? A story attached to an object makes it so much more then a simple object. The plan was for David to pass on the handle to Marcus and Freya, who would be sailing around the south coast of Brittany during our stay in Concarneau. We would keep in touch and plan a meeting point on one of the Grayhounds several landings. We would then trade the windlass handle with local maple syrup we would bring with us from Canada. 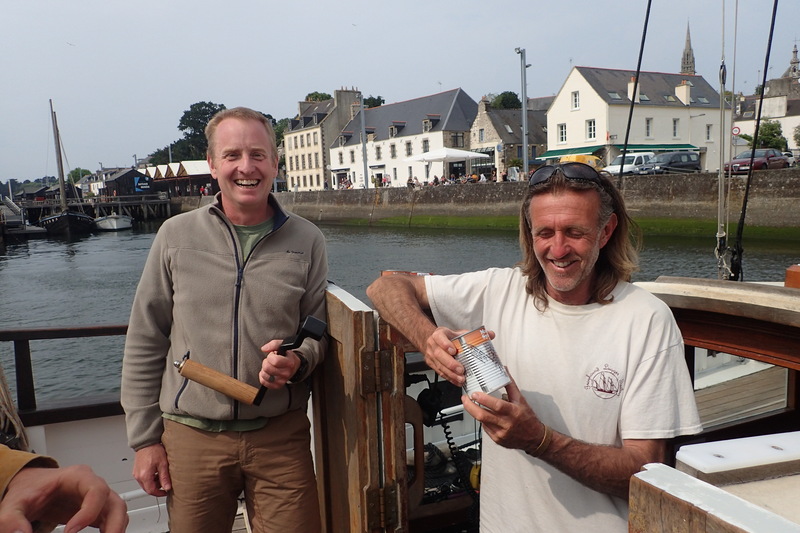 It is during a wine delivery in Douarnenez that it happened. 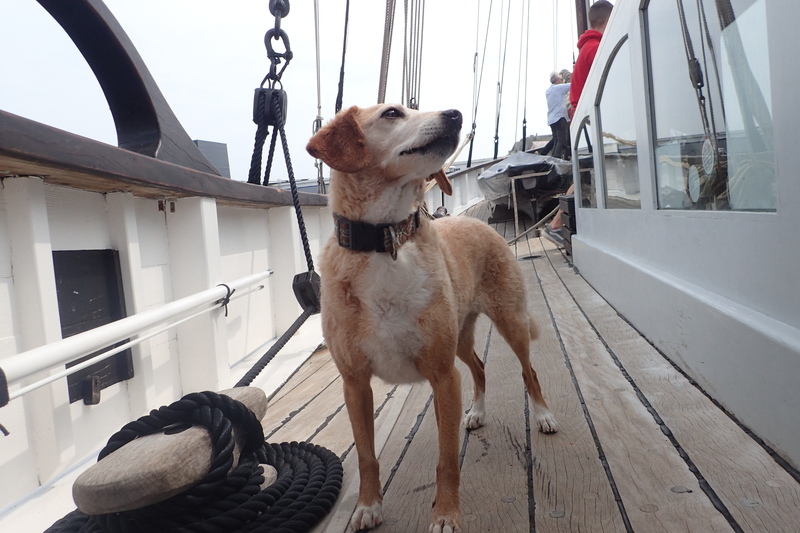 We meet up with the Grayhound crew, helped unload the wine, hoped on board for a small passage to the inner harbor and all together had an awesome day from what was just a fun story to add to our boat building journey.